You are here: Home » Talbot Run : Working Students… Having Fun! Talbot Run : Working Students… Having Fun! All work and no play is just not very fun. 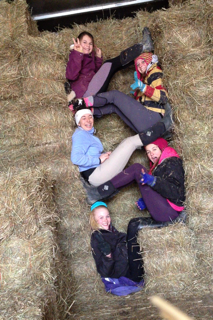 Talbot Run has some very dedicated working students who help with many of the chores around the barn.